Help save life: Save Michael’s life. Hi people. Please read this post and while battling with the tears, please help. Michael is a friend and course mate. And he is indeed a fighter! Michael’s Cancer OrdealIt all started when Michael was just 10 years old with a small boil which suddenly began growing slowly in September 2011 causing distress. He had an excision biopsy in University Teaching Hospital, Calabar, in Nigeria. While waiting for the pathology result which led to the diagnosis- dermatofibrosarcoma. There was a disease recurrence in February 2012 and he was placed on chemotherapy. 4 months later he had a debulking surgery because of the progressively increasing growth. It wasn’t easy at all for Michael who was enjoying his studies but suddenly meeting with unimagined distractions. After radiotherapy in Eko hospital in Lagos, Nigeria, Michael’s disease took a different turn, resulting in above elbow left arm amputation The post amputation pathology result revealed presence of the cells in his remaining stump, this was saddening so he was quickly flown to India in January 2013. There in India, it was discovered in Fortis Hospital, New Delhi that he had a lung metastasis, he underwent left shoulder disarticulation, metastatsectomy and received cycles of different chemotherapy till 2014 while traveling in and out of Nigeria because of his studies.In 2015 there was need for removal of his left lung (pneumonectomy). He was fine after the surgery and went back to school to write his exams as a 4th year Medicine and Surgery student. After his exams, which he passed, Michael travelled back to India in June last year due to persistent chest and back pains, he received radiation around his spine and oral chemotherapy, there was a small improvement in December from his pet scan result but suddenly there is aggressive growth of tumor around his chest with severe back and waist pains, nasal congestion, dizziness and sleepless nights. His doctors in India, who admire his determination and courage to fight cancer are worried about the aggressive nature of the cells- not responding to available treatment options hence suggest a possible exposure to other treatment options or clinical trial perhaps. Video conferencing was necessary to consult doctors in the US but physical evaluation is best on a second thought especially regarding sarcoma and so there is great need for him to travel immediately to the US. It is based on this that we are requesting your support in any amount to enable Michael to fight this disease. Michael is so determined to fulfill his dream as a medical doctor and help other patients not minding whether he is an amputee but his greatest worry is the thought of how to get funds for his treatment. MD Anderson hospital gave Michael an appointment for evaluation on the 7th of March 2016, and follow up treatment but he could not afford his bills. We have communicated with the hospital for another appointment. Our family alone cannot do this except with your donation, assistance, prayers and love so we appreciate your kind donation for Michael for the complete remission of this terrible illness. Cost breakdown from MD Anderson hospital is cost of evaluation + tests – $27,500; treatment and procedures for sarcoma for one year (range of $244,700 – to $801,400 this depends on the outcome of the evaluation); additional expenses such as transportation cost, diets and accommodation. A goal of $300,000 is the target for Michael’s treatment. I have seen cancer survivors and I BELIEVE MICHAEL CAN LIVE LONG WITH YOUR CARE, LOVE AND SUPPORT. I humbly solicit your support to save Michael Effiom’s Life! He’s my colleague and our brother. 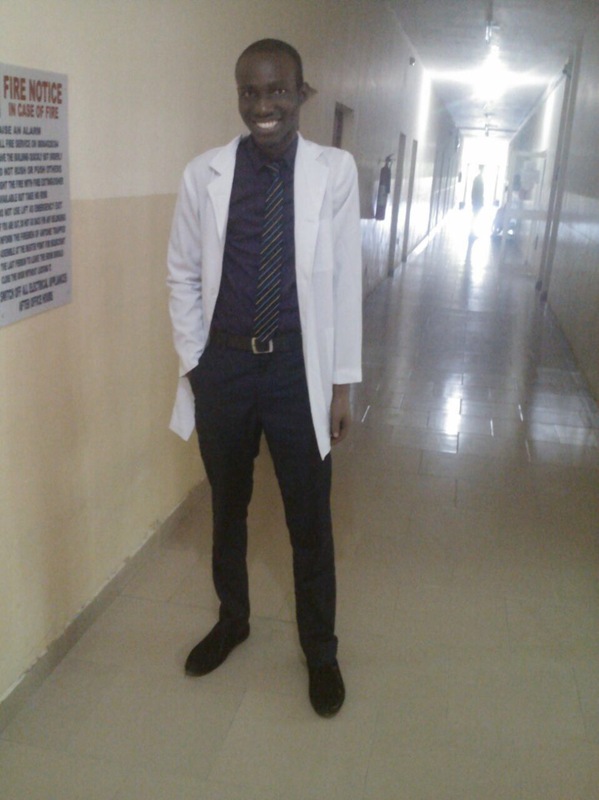 A young promising Medical Student. Kindly Click here to make your donation. This entry was posted in ...Inspired, Ourblog stuff and tagged cancer, donation, health, life, medical fund, medical student, michael effiom. Bookmark the permalink.